Devlin is two towns west of Fort Frances on Highway 11. It seems pretty small. I’ve found a few lodges online with Devlin addresses (one even listed as being in ‘North Devlin’) but otherwise I haven’t found much else. 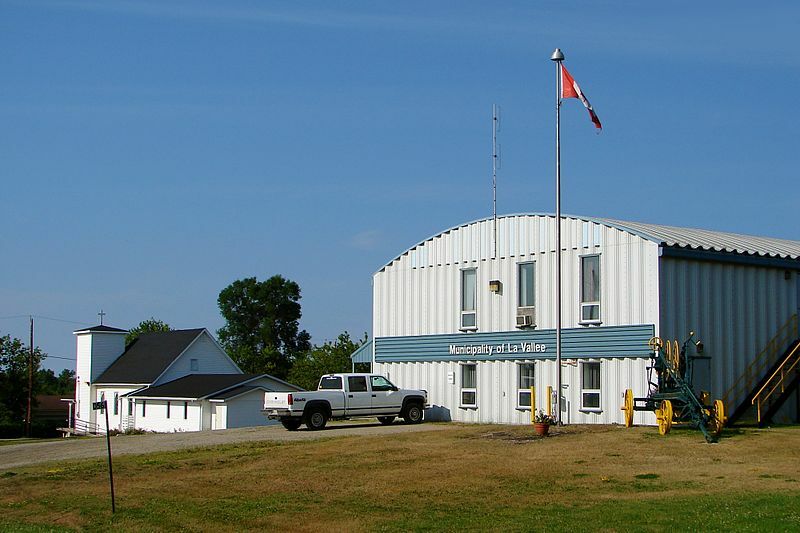 La Vallee is on Highway 11 just west of Fort Frances. La Vallee might have a francophone community, but I can’t confirm that. I assume that it is something of a bedroom community for those who find the hustle and bustle of Fort Frances a little overwhelming. The town celebrated its centennial in 2004. 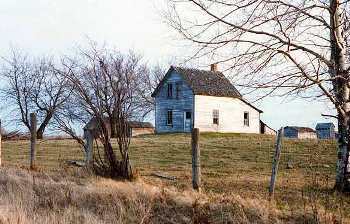 This might be a farmhouse in La Vallee, Ontario. Or it might be a house somewhere else. post office. I think there are two cemeteries somewhere around town as well. In the summer the town hosts two bass fishing derbies and on mother’s day there is a local fish fry. One interesting thing which appears to be in town is Mud Lake, an old western-style faux-village built by a local couple. This entry was posted in The Northwest and tagged dot on the map, farm town by Highway11.ca Editor. Bookmark the permalink. Right on, Mud Lake City is probably the most exciting it gets in LaVallee/Devlin (names usually used interchangeably, depending on what section you live in, although Devlin is actually one of 2.5 townships within the Township of LaVallee, so I’m told). Mud Lake City opens up once or twice a year to the public for small concerts, and for the locals to look around the little antique village. I think some of the old timers get together there to show off antique cars every once in while. LaVallee/Devlin is a great community to live if you love snowmobiling, riding the four-wheeler, hunting, fishing, hockey and the outdoors in general. Having grown up in this community I can confirm that there is no francophone community in LaVallee. And nicely done on the 2 churches, but there are 4 cemeteries.